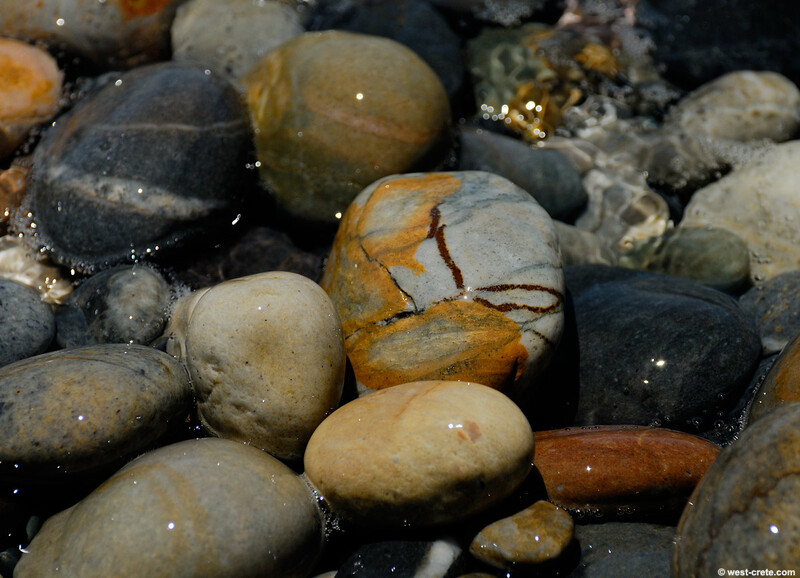 Pebbles in the water on Anidri beach near Paleochora. If you have an eye and time for small things head for one of the many pebble beaches of Crete. You can spend hours looking at them. Unfortunately, as soon as they come out of the water and dry out they lose their shine and sparkle so it's best to enjoy them in their element.